Facts of Russia — Motorcycle Adventures on The Globe! RUSSIA IN NUTSHELL... SOME BASIC FACTS! Vodka, caviar, ice hockey and Vladimir... something Russia is well known about! Our huge neighbor, size of two USA, a country we have learned that everything is big... but Russia is much bigger! And Russia has always a lot to give to a traveler! Russia is for bikers who are looking for something different and out of the ordinary and are not afraid to come out from their comfort zone. We say always, Visit Russia and be positively surprised! You do not see everything on one tour, because Russia is 11,5% of the Earth's land area. It reaches from Atlantic in the west to the Pacific in the east. But even on a short tour, you will get a good picture on a motorcycle tour what it is about! Russia is also much more than the more or less bad image given to us by the media. We drive in Russia all the time and we love it. The surface of most Russians is a bit cold, but there is always a very hospitable warm heart inside which is not interested of politics. 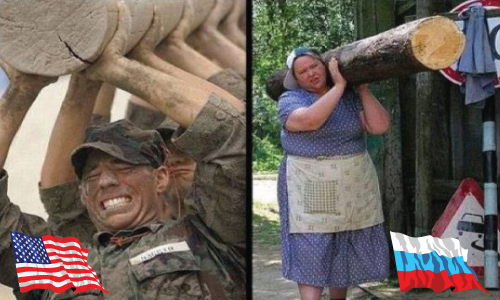 Russian politicians and the biggest part of thr population live in two completely different world. A biker who is visiting Russia will discover a gigantic country with many treasures on several levels. Venice of the east, Russia's former capital St. Petersburg, is one of the most magnificent cities to visit in the whole Europa. The Baltic countries are in many respects opposite of Russia. To drive across Russia with a motorcycle you need two weeks. To drive through Baltic countries you need only one day! Their combined area is half of the size of Finland. Estonia, Latvia and Lithuania are all small, compact and great countries to visit and live in. Red Square began life as a slum, a shanty town of wooden huts clustered beneath the Kremlin walls that housed a collection of peddlers, criminals and drunks whose status left them outside the official boundaries of the medieval city. It was cleared on the orders of Ivan III at the end of the 1400's, but remained the province of the mob, the site of public executions, and rabble rousing, until much later. The square's name has nothing to do with communism or with the color of many of its buildings. In fact it derives from the word 'krasnyi', which once meant 'beautiful', and has only come to mean 'red' in contemporary Russian. The name became official in the middle of the 17thcentury - previously it had been Trinity Square, due to the Trinity Cathedral, the predecessor of St. Basil's. Popularly, it was also known as 'Fire Square', reflecting the number of times medieval Moscow burned. During the Mongol and Tartar invasions, it was the site of fierce fighting, and right up until the end of the 17th century cannon stood ready to defend the square. Red Square came into its own in the 20th Century, when it was most famous as the site of official military parades demonstrating to the world the might of the Soviet armed forces. Two of these will be remembered forever. The first was the parade of 7 November 1941, when columns of young cadets marched through the square and straight on to the frontline, which by that point was less than 50km from Moscow. The second was the victory parade on 24 June 1945, when two hundred Nazi standards were thrown in front of the mausoleum and trampled by mounted Soviet commanders in celebration. The year 2000 saw the return of troops to Red Square, with a parade to mark the 50th anniversary of the end of World War Two. Since Perestroika, however, the emphasis has moved away from official pomp, and Red Square has been used increasingly for rock concerts, big classical music performances and a whole range of large-scale events from fashion shows to festivals of circus art. Moscow met the millennium here with a huge firework display and street party. Today it's hard to think of a place that is more beloved of Muscovites and visitors to the city. The varied beauty of the architecture and the magical atmosphere belie the square's often brutal and bloody history, but the combination makes Red Square a truly fascinating place that you'll want to come back to again and again. Saint Petersburg (the former capital of Russia) with about 5 millions inhabitants is recognized as one of the most beautiful cities in the world. Various guided tours over Saint Petersburg and suburbs including visits to Tsars' palaces and museums will be organized during both the Conference days and the weekend. Saint Petersburg is known not only for its palaces and museums. It is a historical scientific center of Russia, where the 1st Russian University and Russian Academy of Sciences were founded in 1724. Among first professors of Saint Petersburg University were Leonhard Euler (who lived in Saint Petersburg for 30 years and wrote about 500 of his 865 papers there) and Daniil Bernoulli. In addition to sightseeing tours we are planning to organize historical scientific tours including visits to historical buildings of Saint Petersburg University and Russian Academy of Sciences. You will have unique possibility to see houses where L.Euler, P.Chebyshev, A.M. Lyapunov, A.A. Markov, S. Kovalevskaya lived and worked, as well as the L. Euler's tomb. In May-July when the White Nights are with us, the city shows its special charm. This is the time when guests and citizens are fascinated with magnificent architectonics ensembles of palaces and temples, the streets and the squares, granite embankments and raising bridges across the Neva River and its tributaries. Wnenever you visit St.Petersburg, you will never get tired of admiring the unique architecture of regular and landscape gardens and parks, out-of-town palaces of Pushkin, Pavlovsk, Peterhof, Gatchina and Lomonsov! And did you know that most famous Vladimir in Russia is from St Petersburg! 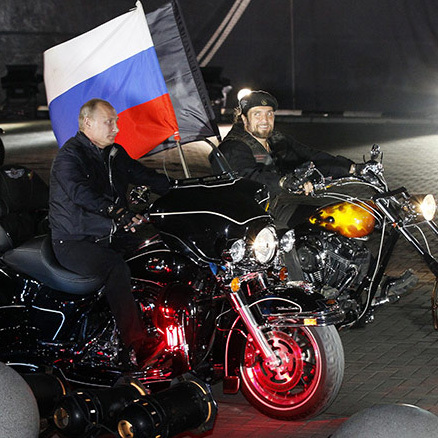 On the rights, Vladimirs best biker friend Alexander Zaldostanov (Surgeon). 10 FACTS ABOUT RUSSIAN NATIONAL DRINK... VODKA! 1 | Since vodka is distilled from water ethanol and fermented potatoes or grains, it contains very little fusel oils, much less than other alcoholic beverages. This coupled with the fact that it is carbon filtered, makes it one of the purest drinks in the world! 2 | A litre of vodka weighs only 953 g and not 1 kg as one might imagine! 3 | As opposed to popular belief, vodka does go bad if stored for longer periods of time. Ideally, vodka has to be consumed within 12 months of the manufacturing date! 4 | Up until 1885, vodka was only sold in 12.3 litre buckets and even still, it was a very popular drink. Thankfully, smaller bottles were introduced so that we don't spend the early part of our work week coping with a massive hangover! 5 | While traditional vodka has exactly 38 percent alcohol, the European Union recognizes any such drink with more than 37.5 percent alcohol content as vodka. On the other hand, all vodka sold in the United States has to have 40 percent or more alcohol content. 6 | Due to the high production and consumption of vodka in America, countries like Russia, Ukraine, Belarus, all Nordic and Baltic countries, Poland and areas of Slovakia and Hungary, these regions constitute the Vodka Belt! 7 | Apart from getting you drunk, vodka can also be used for other purposes. For example, soaking your razor blade in vodka after a shave disinfects it and prevents rusting! Vodka can also be used for cleaning glasses and bathrooms because the alcohol tends to kill, mold and mildew! Of course, this is assuming you have enough money to switch from Harpic to vodka! 8 | While there are varied accounts of where vodka originated--either in Russia or Poland--the first variations of Russian vodka were meant for medicinal purposes. It is also reported that Polish vodka was scented and used as aftershave! 9 | According to some historical accounts, vodka was used to make gunpowder in Sweden in the 15th century! 10 | While clear vodka is very popular, its flavored versions are also widely available. Some of the best vodka flavors are red pepper, ginger, varying fruit flavors, vanilla, chocolate (unsweetened), and cinnamon.